The Mohawk Hunter Take Down is a legendary bow! 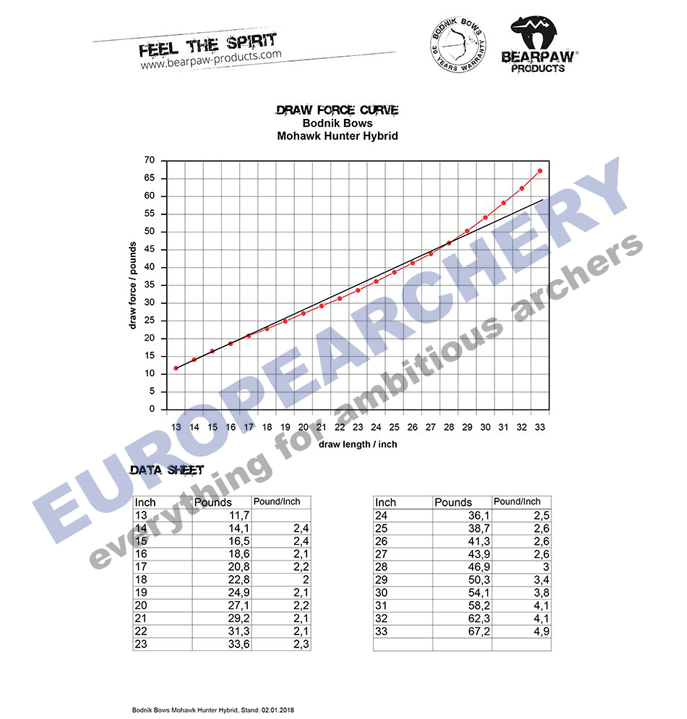 Around the globe, avid archers and serious bow hunters choose to shoot Mohawk bows. 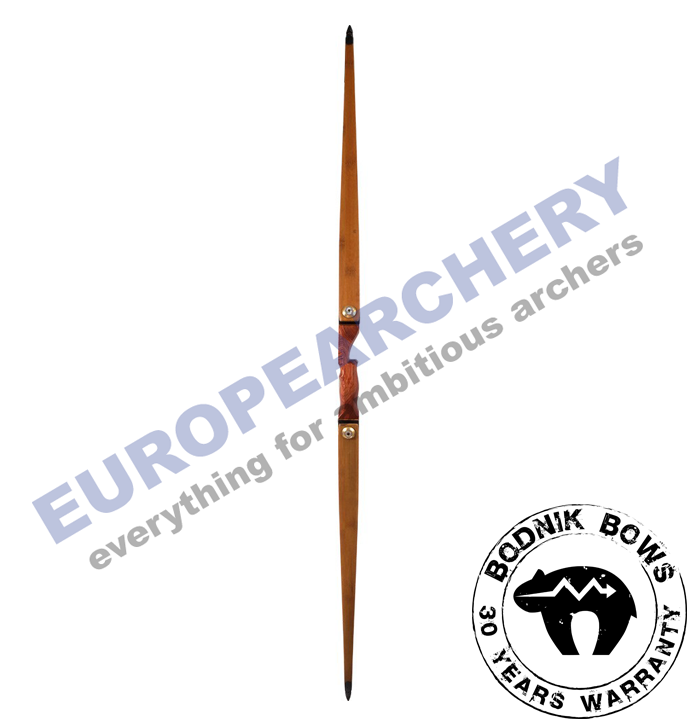 They swear by the performance of the Mohawk bows - Not just because each one is carefully crafted by Bodnik Bows - But also because Mohawk bows have impressed them in the field with super smooth draws and consistent, flat shooting performance. No matter how close or how far your shot is, you can trust your Mohawk to give you smooth consistent draws and powerful flat shooting arrows. 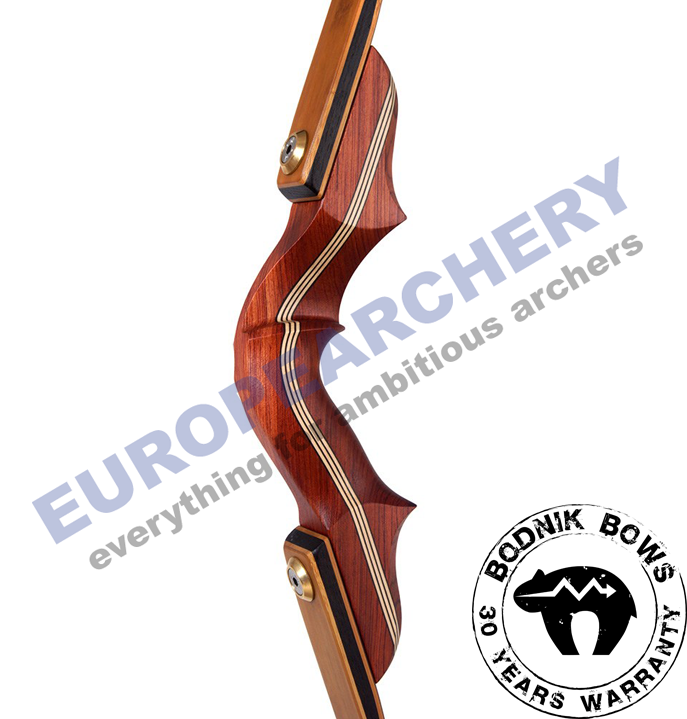 Our Mohawk bows enjoy an impressive reputation, and every one of them is covered by our solid 30-year Bodnik Bows guarantee! For the Mohawk risers we chose Bubinga for it's good looks and because its mass weight absorbs all the residual energy after the shot. Because of that, we're able to guarantee when you shoot a Mohawk, there will be no noticeable hand shock. Mohawk risers are made with Bubinga laminated with beautiful contrasting Maple and Micarta, resulting in a very stiff riser that ensures maximum stability! All of our Mohawk recurve and hybrid limbs are interchangeable with all Mohawk, Mohawk Hunter and Mohawk Chief risers - without changing the draw weights! With this in mind, you can mix and match Mohawk risers and limbs to create any combination you desire. Now you can build your own personal Mohawk. 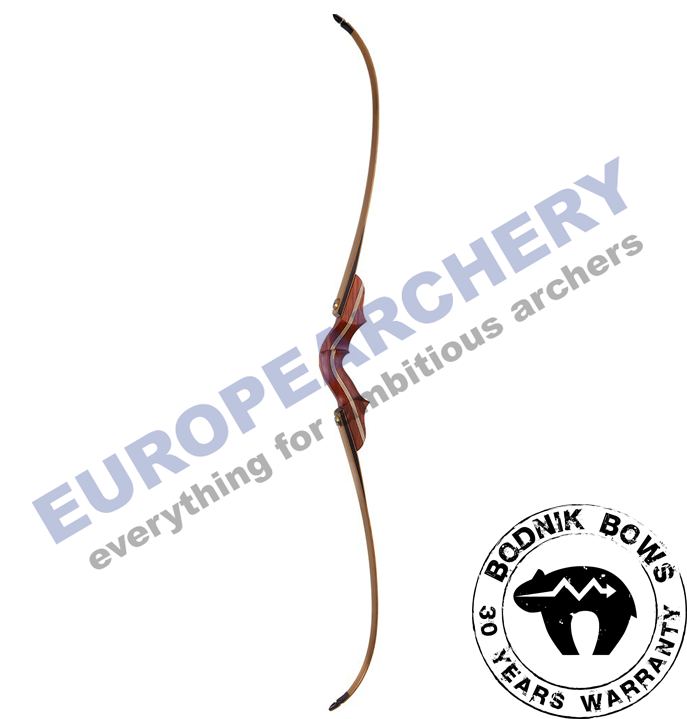 Of course our Mohawks can be shot with any high performance bowstring, but for the ultimate in performance and speed, we recommend our Henry Bodnik Whisper Strings. Shoot hard, fast and "whisper quiet" with Henry Bodnik Whisper Strings. The short, handy Mohawk Hunter riser is aptly named. The beautiful curves and graceful lines of this compact riser is an engineering marvel. The perfect geometry and balance enhances precision shooting with buit-in pointability, stability, and forgiveness. When combined with the powerful bamboo limbs, the Mohawk Hunter is the perfect combination of performance and aesthetics. 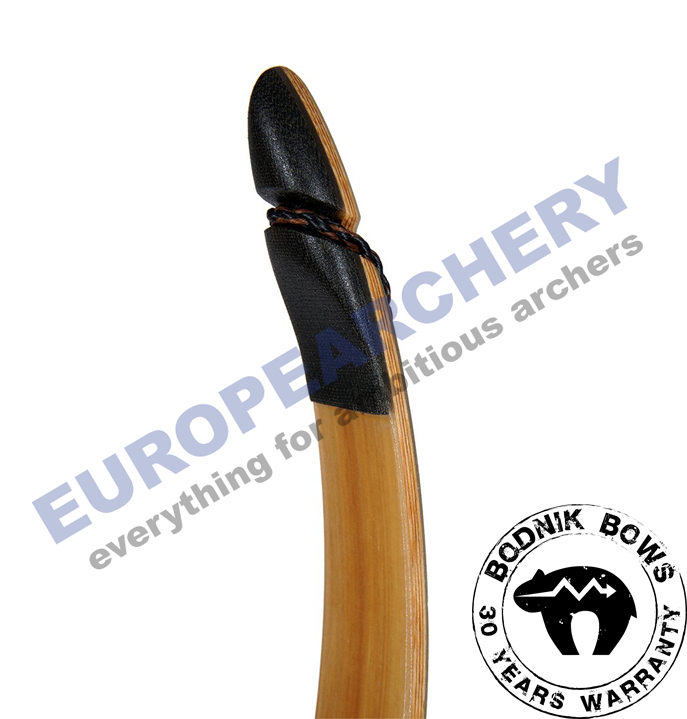 According to Henry Bodnik, Mohawk hybrid limbs make the perfect bow. They provide an unmatched balance of smooth drawing, with fast powerful and flat arrow trajectories, and pinpoint accuracy. The skilled bowyers at Bearpaw Products put a lot of time and energy into the development of these hybrid limbs to create a very special bow - the bow of bows. Please inquire about availability prior to ordering. The 10% discount rule does not apply to this product. 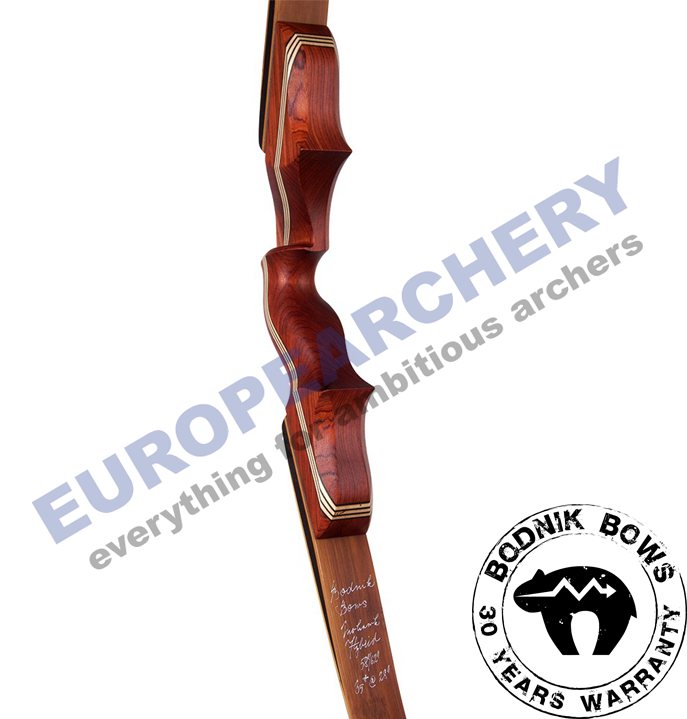 Every single Bodnik Bow is handcrafted by our bowyers in our own manufacturing facility.